Business interior signage is as important as your exterior signs. If you think that your signage should end the moment a person walks through office doors, think again. From complementing your business environment to reflecting the quality of your offerings and helping in your company branding, interior signage goes a long way in making people remember your business and even influencing their decision of whether to do business with you. 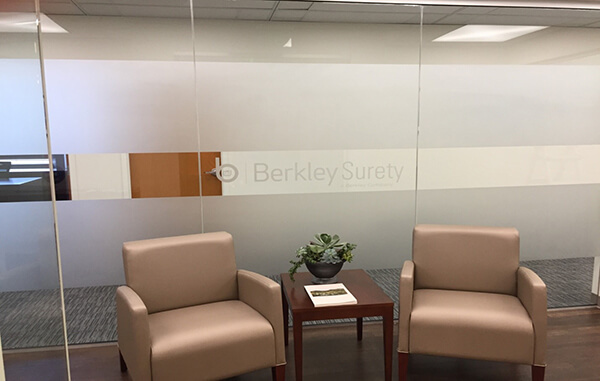 Drawing upon its years’ of experience in the interior signs landscape, Citrus Sign Studio helped Berkley Surety this time with its branding and privacy requirements at its new office in downtown Orlando. Berkley Surety is a service-oriented, extremely professional surety underwriting management company that offers a complete range of commercial and contract surety bonds through its various distribution channels in Canada and the United States. 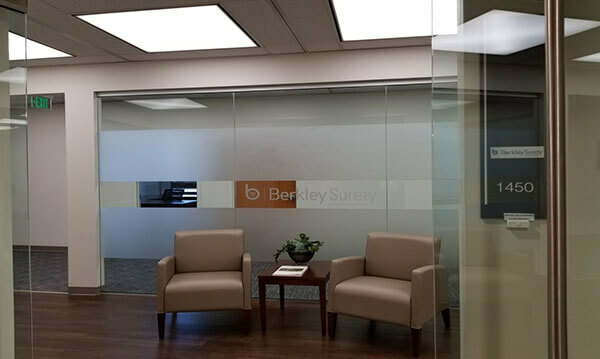 As part of its business expansion plans, Berkley Surety opened a new office in downtown Orlando. 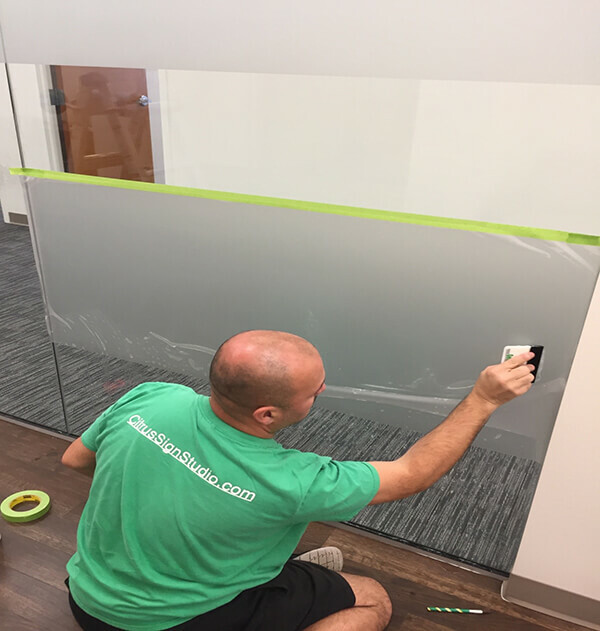 The newly installed glass entry and walls of this office required some privacy and branding, which they asked Citrus Sign Studio to handle. Carefully crafted interior signage is often the best way for a business to communicate its brand in the workspace environment. This was something we kept in mind while working on the project of Berkley Surety. 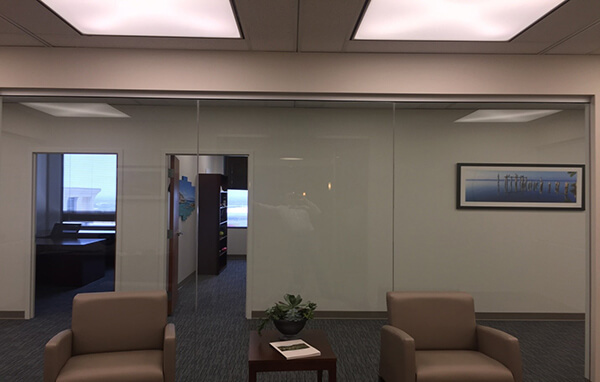 Like many modern offices, Berkley Surety too wanted to use glass partitions and a glass entry to make the interiors look well lighted and spacious but had some branding and privacy concerns that they wanted us to address. 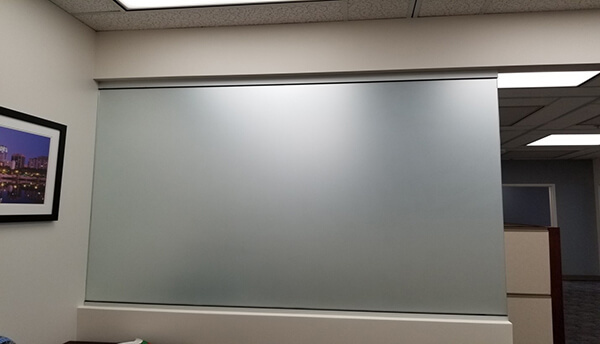 Glass manifestations that help in company branding and adding privacy to the space are available in various forms – opaque, etching or frosted films. 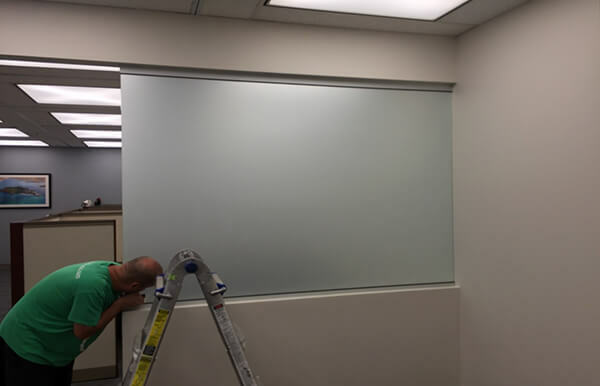 Berkley Surety’s choice was frosted films. 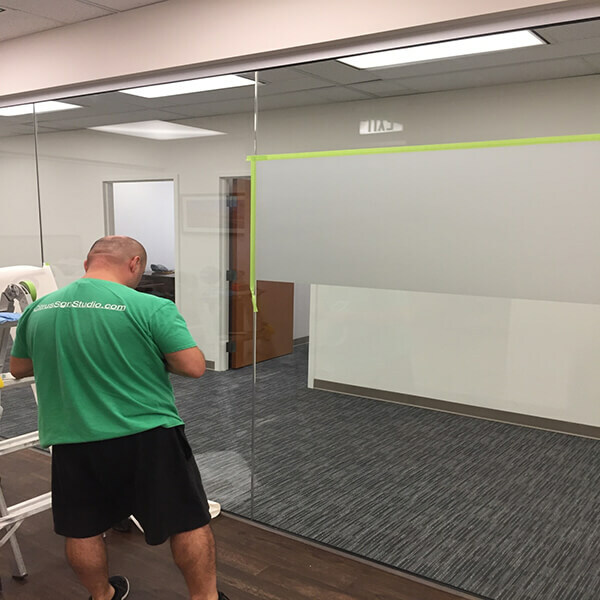 So, Citrus Sign Studio designed the new frosted glass entry graphics with visible clarity that matched the interior aesthetics and helped in creating the desired company branding. While designing the interior signage, we not only kept the company’s brand message in mind but also considered the surroundings where they will be displayed. 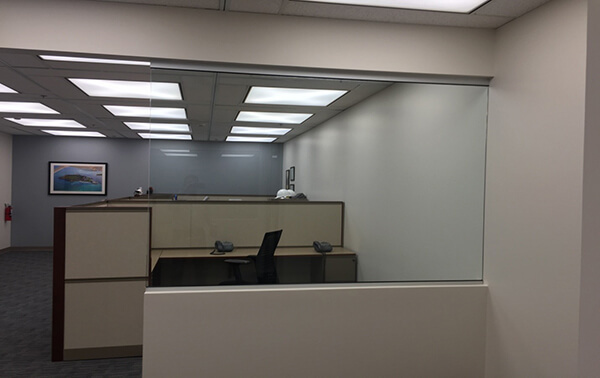 So, we created bespoke and harmonic solutions that not only gave the business environment an adequate level of privacy (which Berkley Surety was looking for) but even changed the feel of the entrance and the entire space, thus bringing out the best that the company has to offer. 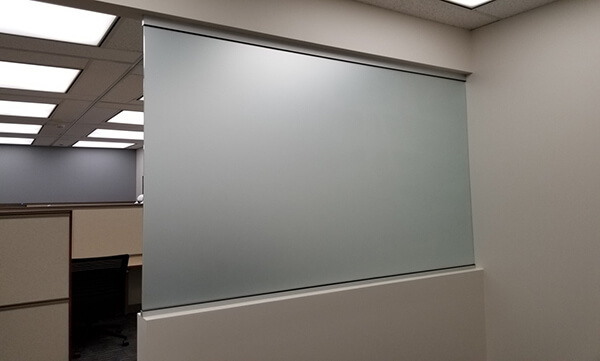 Once the graphics of the interior signage were approved, our expert installer installed the signage on the glass entrance and the frosted glass partitions that lined the employee cubicles. 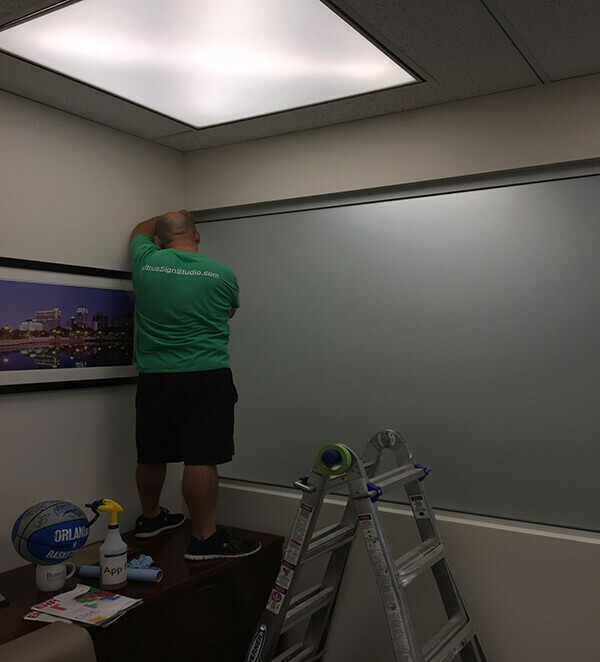 With proper measurement and careful, precise installation, our in-house installer ensured the interior signage complemented the business environment, reflected the company culture and helped in corporate branding. 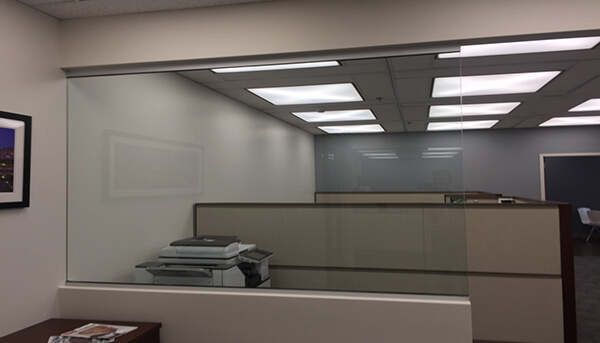 For anyone entering the office or waiting in the reception area, the interior signage would be clearly visible though the free view of the employee/managerial cubicles beyond and the employees at work would be shielded by the frosted glass. 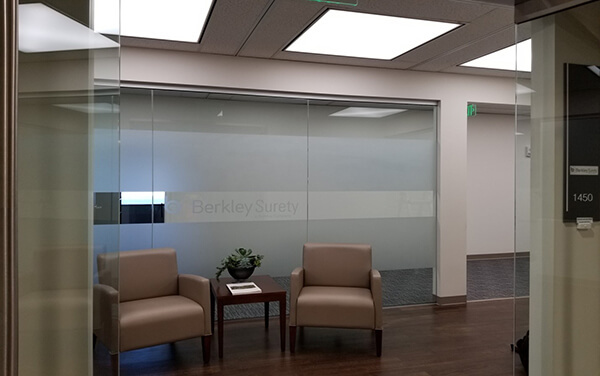 Thus, Citrus Sign Studio’s frosted glass entry graphics gave Berkley Surety’s new office a professional look that enhanced the corporate look and feel while adding just the right degree of privacy to its business environment.